FujiFilm DPC-R1 Image Memory Card Reader Brand new factory sealed package. Lot of 8 microsdhc 4gb cards with as card adapters 7 are new and sealed and one was used to transfer files off a phone. 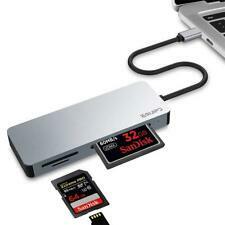 StarTech USB3.0 Flash Memory Multi-Card Reader/Writer supports SD (Secure Digital), microSD, and CompactFlash cards, and connects to the USB-C port on your tablet, smartphone, laptop or desktop computer. Fast data transfers to increase workflow efficiency. 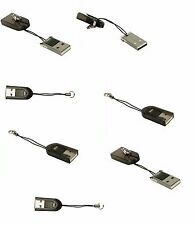 Every 2 of 7 USB Reader Adapters you buy, we gift you 1 of 7 USB Reader Adapters FREE! 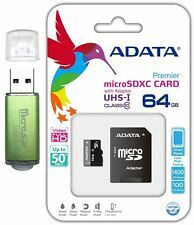 Card Compatibility: MICRO SD/SDXC/TF card. 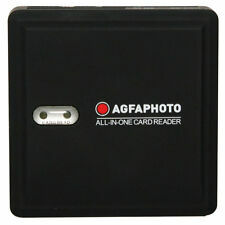 Product Type Card reader ( external ) - Hi-Speed USB. Connections 1 x Hi-Speed USB - 4 PIN USB Type A. Easy - plug-and-play into any USB 2.0 or 1.1 port. Expansion / Connectivity. Compliant with SD association specification standards. It has a write protection switch to protect your data from being overwritten.